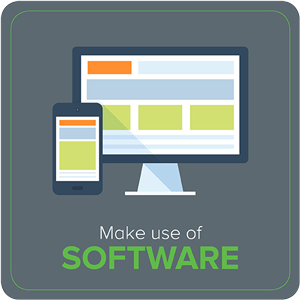 Get a Demo of Qgiv's Online Fundraising Software. Letters sent through snail mail are the classic way to get in touch with and acknowledge donors. Most organizations type up and print out their thank you letters, but some situations are better suited for the intimacy of handwritten letters. Although it’s often considered more thoughtful to mail a physical letter, this acknowledgement strategy takes a little more time, effort, and money on behalf of an organization. Additionally, some donors might prefer the convenience of email over receiving a physical letter. Email is a quick, easy, and convenient way for organizations to give thanks to their donors. The main advantages of email acknowledgement letters are that they are inexpensive for nonprofits to send, and they’ll get to your donors faster. However, crafting an email takes less effort on your organization’s part, and therefore is often considered a less intimate means of communication. With email acknowledgements, some donors might find it more difficult to feel a personal connection to your organization. Every time they’re making a donation, your donors are putting their faith and trust in your organization. It’s important to cultivate these relationships to keep them thriving. 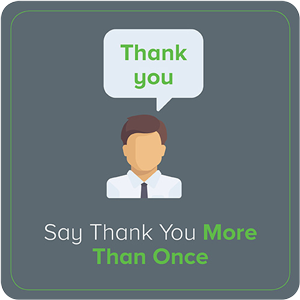 Saying thanks is one of the easiest ways to reach out to your donors and make them feel appreciated. When you acknowledge their contributions, donors will feel closer to your organization, and you’ll establish deeper relationships with them. Always thanking donors for their contributions is one of the best retention strategies out there. 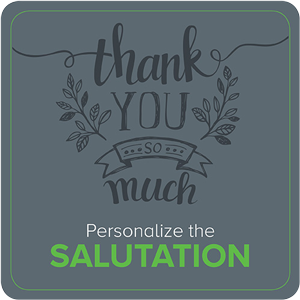 In fact, studies have suggested that sending out personalized thank yous can increase donor retention rates by up to 39%! When donors feel like their personal contributions are making a difference and being recognized, they’ll feel appreciated and be more likely to give again. People don’t like receiving unnecessary mail. It usually ends up unread and discarded. Why would your nonprofit send two pieces of paper (and spend twice as much on postage!) when you could send one to do the job of both? Your donor thank-you letter can also double as a tax receipt. Read below for more information about how to combine the two! Your nonprofit is working hard to accomplish great things in your community. Don’t lose the respect of your donors and prospects by forgetting to thank them. Donor thank-you letters show your supporters that you care about them just as much as they care about you and the work you do. Acknowledgements can give your nonprofit a serious PR boost. Don’t miss out on an improved public image by forgetting your donors’ thank-you letters! Split your donor list out into first-time donors, recurring donors, major gift donors, and any other significant groups. Write a thank-you letter template for each group based on their unique contributions to your organization. Although you want your letters to be situationally specific, make sure they are not so specific that you cannot personalize them by simply filling in your donors’ personal information. Your donor base isn’t a faceless collective. Each donor has a different relationship with your organization that warrants a personal approach. 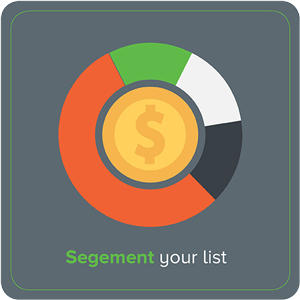 Segmenting your list helps you individualize your acknowledgement before you even start writing. You’ll still have to personalize each template before sending, writing multiple drafts for various situations ensures your thank-you’s will always be relevant and specific. With certain online donation platforms (Qgiv included!) your nonprofit can automate your acknowledgement emails to donors. Obviously, you won’t be able to send out the exact same email to all of your donors. A certain level of segmentation & specialization will have to occur in order for your emails to be personal and genuine. 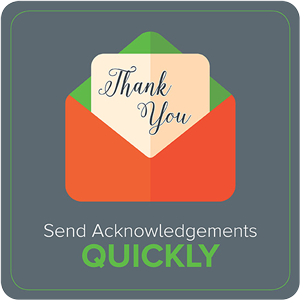 Email acknowledgement software can help streamline your thank you process and reduces the amount of time it takes to send out a large number of donor thank-you emails. And even though automation is meant to save your organization time and money, it shouldn’t take the place of personalized correspondence. 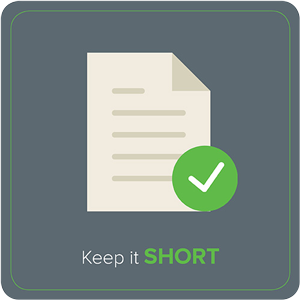 – Your organization’s size: While big nonprofits might not have time to handwrite all letters, it might be worthwhile for a smaller nonprofit with a growing base. 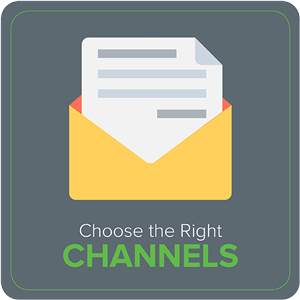 – Your donors’ preferred communication channels: A younger, tech-savvy base might prefer email, while other donors might prefer the intimacy of a handwritten letter. – Gift size: While you should thoughtfully acknowledge contributions of all sizes, major gift donors deserve a more personalized approach. – Your available resources: If you have a tight budget, it’s more cost-effective for you to use email. Your organization has many options when it comes to deciding how to thank donors. You can send letters by mail or through email–write letters by hand or type them up. With so many choices out there, you should make sure you cater your approach to the needs of your organization and the preferences of your donors. That way, thank yous will always be manageable on your organization’s end and well-received on your donors’. And don’t stick to just one acknowledgement method per donor! Shake things up a little and send a different type of thank you message every once in a while. Ideally, your donor thank-you letters should be sent out within two days of the initial donation. However, if you have a large number of donations that require recognition, the deadline for sending out donor thank-you letters can be extended to a week. If you wait too long to send your donation thank-you letter or email, it might look like an afterthought, which could cause your organization to look less trustworthy. Send your letters as soon as possible, so your donors will feel the full impact of how much you appreciate them! Instead, use your donor’s preferred name (spelled correctly!). If a donor’s name is William but he goes by Bill, then call him Bill. If one of your donors was recently married, don’t start your letter or email with “Ms.” and her maiden name. Not only are greetings like “Dear Donor,” highly impersonal, they also show a level of laziness on your nonprofit’s part. 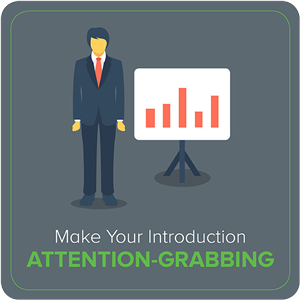 Your introduction and greeting are the first pieces of information your donors will see. Make sure they read the rest of your acknowledgement by starting off strong. Start with an introductory remark that really grabs the donor’s attention and includes the specifics of your campaign. Continue to be creative during the letter, letting them know exactly what you’re doing with their gift. This is a great place to flex your storytelling muscles. Even though some information must be included in a donor thank-you letter, you can have creative license throughout the acknowledgement. Don’t be afraid to be a little imaginative! Donors don’t want to read a dry, cookie-cutter thank-you letter. If you start with a boring, jargon-filled cliche like “On behalf of,” or “Thank you for your generous contributions,” donors will stop reading after the first line. The more creative you can make your donor thank-you letters, the more likely you are to capture your donor’s attention and the more memorable you’ll be! Your donor acknowledgement doesn’t need to be multiple pages long. In fact, the shorter it is, the better! Try to keep it to one sheet of paper if you can. Donors don’t need to open up an envelope stuffed with information. A long email or letter is far less likely to be read than a one-pager. If you want your supporters to read your acknowledgement, it makes sense to keep it as short as you can without sacrificing content. That’s why it’s so crucial to use 100% original copy on your donor acknowledgements. Make sure that your donor thank-you letters and emails don’t contain word-for-word phrases or sentences from any other materials that you may send out to donors. 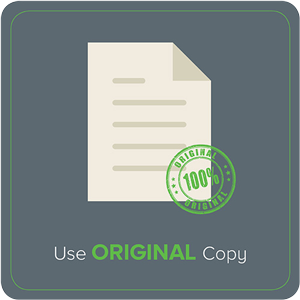 Using original copy ensures that your acknowledgements sound more personal and genuine as opposed to identical and insincere. Being original shows your donors that you care about them and their contributions enough to put the time into thanking them. When possible, ask someone who has been helped by your organization to create a personal thank-you letter. For instance, if you work with children, you can ask the kids and their families to create simple thank-you cards. You can even use this strategy if you run an animal-based nonprofit. Simply dip a puppy or kitten paw in some paint and place it on the thank-you letters you write. Using personalized thank-you letters and cards from the people who benefit from your nonprofit’s services is a great way to directly connect your donors to the individuals their donations are helping. It also includes the people and animals that you serve in the acknowledgement process. Your organization won’t be viewed as a middleman between donors and the people their donations are helping. Tell donors exactly how their donations are helping to further your cause. You can even break it into tiers. If a donor gives $50, tell them what that accomplishes and give examples of what other donation amounts can do. If you have an ongoing fundraiser or campaign, make sure that your donors know about the general and specific aspects of that project. Vague promises aren’t going to cut it in your donor thank-you letters, nor will roundabout statements that only hint at where your donors’ money is going. Donors want to know that their money is actually going towards a good cause, so make it clear to them! When donors can see that their contributions are bringing tangible results, they’ll be happy they donated and be more willing to donate again. Your donor thank-you letters should show your donors that your organization appreciates them individually, not as part of a nameless, faceless group. Tell donors about how their contributions are helping your nonprofit achieve its goals instead of just discussing your organization’s overall accomplishments. Thank you letters are a place for acknowledging donors and highlighting donors’ contributions, not expanding on your organization’s accomplishments. Your organization couldn’t complete its mission without the generosity and benevolence of all of your donors. Therefore, donor thank-you letters should be donor-centric! Additionally, a donor-centric acknowledgement helps encourage donors to give again in the future. A donor thank-you letter is the perfect medium for telling a story that will tug on donors’ heartstrings and remind them of why they gave in the first place. These types of stories (and any others that you can think of!) are great ways to connect with your donors and show them how their contributions will be used. 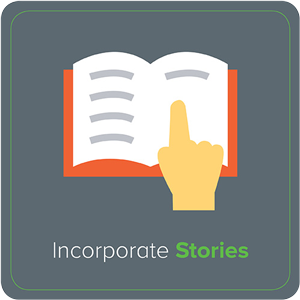 Stories are also important because they shift the focus of the acknowledgement off of your organization and on to your donors and the people, animals, and communities that you serve. Don’t come across as overly formal or distant. Make donors feel like they are part of your nonprofit’s family by using a warm and personal tone in your donor thank-you letters. You want to appear personable and excited about joining forces with your donors, not cold and distant. Donors want to feel like they have a personal relationship with your organization. 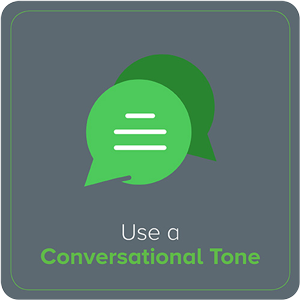 Using a friendly, personable tone makes donors feel as if they’re talking to another person instead of a faceless organization. 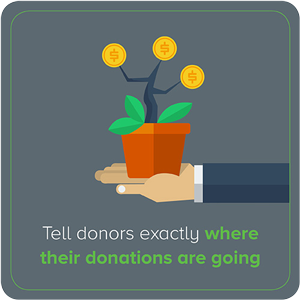 Donors who feel a connection to your organization will be more likely to donate again in the future. When donors contribute money to your organization, they will likely want to be updated on the progress of the project(s) that their donations are funding. 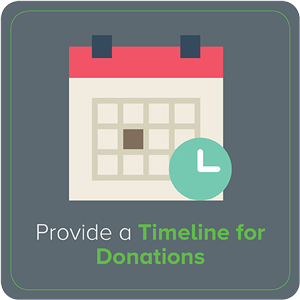 Even if you are unable to give extremely specific updates immediately after a donation has been made, you can give your supporters a general timeline for the project you’re working toward. Including a brief timeline in the body of your letter or email will let donors know how their donations will be used. Donors rarely like to give to organizations without knowing how and when the money will be used. 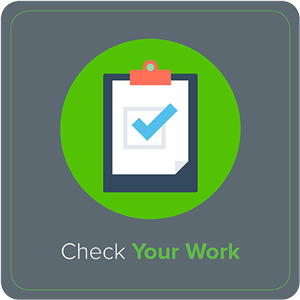 Provide a brief and general timeline in your acknowledgement and follow up with more information in other correspondences. Although you can make other appeals that encourage further interaction with your organization, your thank you letter is a place for genuine thanks. Your letter should be donor-centric and appreciative. Focus on the donor’s generosity and hold off on the temptation to make further asks. Also, never include a return envelope, even if you don’t explicitly ask for donations in your letter. You wouldn’t give your friend a thank-you card letting them know you appreciate the birthday gift they got you and include a list of presents you want for next year. 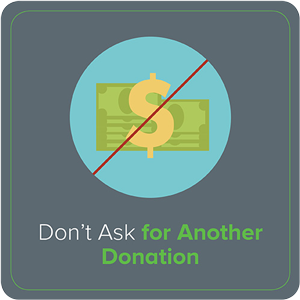 Don’t do the same thing to your donors! Donors will immediately be put off if your letter jumps into another donation appeal. Remember, your donors are people — not ATMs. There are many calls to action you can include in your donor letters. The only guideline here is that you offer donors something of value and don’t ask for more donations. They did just make a contribution to your organization, after all, so it’s time to give them something in return! – Explore corporate giving programs. – Subscribe to your email newsletter. – Follow your social media pages. One of the main reasons organizations send out thank you letters is to increase their donor retention rates. 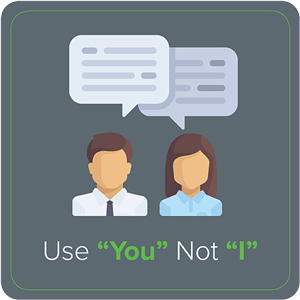 You won’t be able to retain your donors if you don’t make it clear how they can continue to interact with your organization. 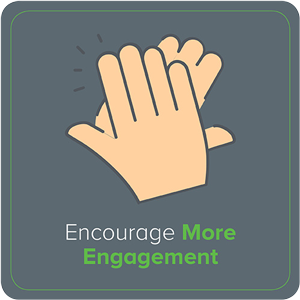 Offering other engagement opportunities encourages your donors to interact with your nonprofit beyond the dollars they contribute. It allows them to be more closely connected to the work you do. Not every donor thank-you letter will be sent out to a first-time donor. 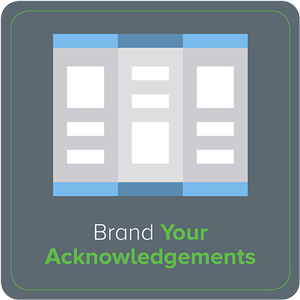 Your loyal supporters should still receive thoughtfully-crafted acknowledgements. When you go to write a thank-you letter or email for someone who has given more than once, make sure that you acknowledge their previous support as well. Let them know that you appreciate every donation that they make, not just the most recent one. Donors want to feel a personal relationship with your nonprofit. When your acknowledgement letter or email references previous donations, it demonstrates that your organization recognizes their contributions and cares about the long-term relationship you want to have with that donor. Open with a sincere acknowledgement of the donation and what you plan on using it for. Before you close out your letter, say thank you one more time to emphasize your appreciation. Donor thank-you letters should be donor-centric. The acknowledgement shouldn’t be solely about your organization. Saying thank you more than once demonstrates that you’re truly appreciative of the donation that your supporter has made. It shifts the conversation from one that’s all about you to one that’s about them. You can brand your donor thank you letters to the specific campaign or to more generally to match your organization. All that matters is that your thank you letter is cohesive with the rest of your branding. Make sure the letterhead and photos you use match the rest of your campaign or your organization’s overall brand, so that donors will have no doubt whose letter they’re reading. You should have a cohesive brand for all of your fundraising efforts, and donor acknowledgment letters are no exception. Branding your thank yous establishes authority and ensures that donors will always remain aware of your organization as they’re reading. It will also help you make your letters original. That way, donors will never suspect that you’re recycling the same old, tired template. – Pictures/videos of the work that your nonprofit is doing. – Photos/videos of your staff holding a thank-you banner or signs. – Pictures/videos of the people, animals, or communities that you serve. You can either format the picture directly into your thank-you letters or print them off and include them in the envelopes. You can embed videos and images directly into your emails, as well. 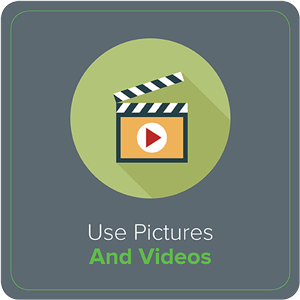 Photographs and videos are the perfect medium for getting more personal with your donors and establishing more meaningful relationships with them. Pairing images and stories can be a great way to show your donors the tangible effects of their contributions. If they can’t directly witness the good your organization is doing, pictures are the next best thing! Just make sure that you have the consent of the people in your photographs! Your acknowledgement letter or email can double as a tax receipt. You can include the pertinent information (read more here) at the bottom of the acknowledgement, after the main body. Donors use tax receipts to claim deductions on their tax returns. As long as the above information is included somewhere in an email or letter, they can use it as proof of the donation. 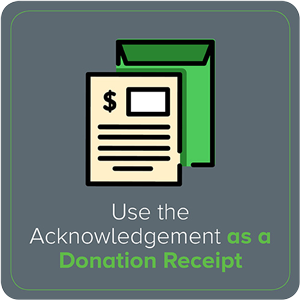 Combining donor acknowledgements and tax receipts makes life a little easier for you and your donors. Your organization doesn’t have to send two different correspondences. You save money and time by combining donor acknowledgements and tax receipts. Your donors are able to easily claim deductions on their taxes, as well! 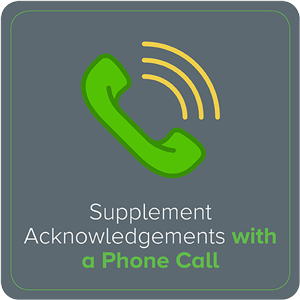 When the situation calls for it, supplement your donor acknowledgements with personal phone calls. If one of your donors has been supporting your organization for several years, give them a call to let them know you appreciate them. When you receive a major donation, find other ways to thank the donor in addition to a letter or email. Donors who have given large contributions or who have supported your organization for years deserve a bit more than a standard thank-you letter. This strategy guarantees that your donors feel appreciated and encourages them to give again in the future. It also helps your organization establish a more personal connection with your donors! Before you send out your letter, make sure to read and re-read it with a detail-oriented eye. Run your letter through your word processor’s spell check and double check any donor information to make sure everything is correct. Because it’s easy to gloss over mistakes when you’ve been reading over the same material, it can also be helpful to have another person look over your letter before sending. If your thank you letter includes careless mistakes like typos or misspelled words, your donors will notice. Sending out a mistaken-laden letter makes your correspondence look unprofessional and can undermine your organization’s authority in donors’ eyes. Even worse, if you accidentally misspell a donor’s name or make an error with other important information, you run the risk of accidentally offending a recipient. After your signature, provide the name, phone number, and email of who donors might need to get in touch with at your organization. Donors will have various questions, so it’s probably helpful to include the contact information of multiple staff members in different departments. 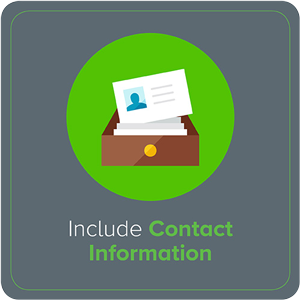 By providing contact information, your nonprofit appears more personal in the eyes of your donors. Instead of being a faceless organization, you’ll be able to show donors that you care about and appreciate them on a more personal level. 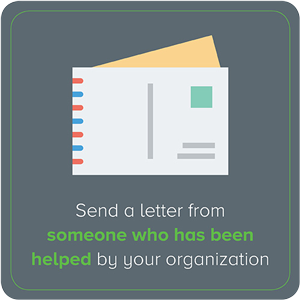 Your donor thank-you letter should be signed by someone higher up in your organization. 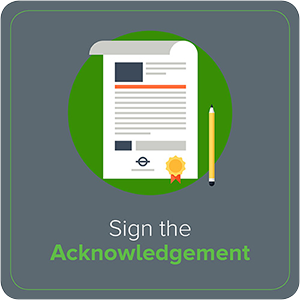 If you can’t get a signature from a board member, one of your department heads should sign the letter. A signature establishes authority and legitimacy for your acknowledgement. It also makes donors feel appreciated on a more personal level.